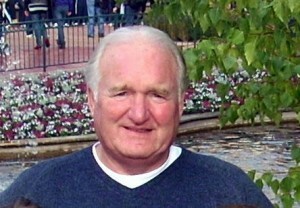 Ken Knighton in recent times. Ken Knighton had to double-check he had heard us right when told of the date he had made his Wolverhampton Wanderers debut. “Did you say the 13th of February?” he asked. “That’s my lucky number. Knighton’s bow came in a stirring 1964 top-flight game at Liverpool, where Wolves lost 2-1 to Bill Shankly’s team of reigning champions. And we had to tell his story on December 13, didn’t we? It was the first of the 13 starts he made in their first team in the aftermath of Stan Cullis’s departure – there’s that number again – with three more outings added as he followed Freddie Goodwin as only the second substitute ever used by the club. “There was a lot of competition at Molineux,” he added. “We still had a lot of international players. “I made my debut in place of Johnny Kirkham at wing-half and I remember him going off to play for England under-21s once and, when he came back, he was in the reserves. That showed the strength we had. “I’m from a place called Kexborough, near Barnsley, not Mexborough as some of the record books say, and came through the Wath Wanderers system. Knighton, now 65 and resident near Bristol since being asked by Plessey Telecommunications in 1984 to set a sales team up in the city, made all his Wolves starts either in the wing-half or no 2 shirts. In his Sheffield Wednesday colours in the 1970s. 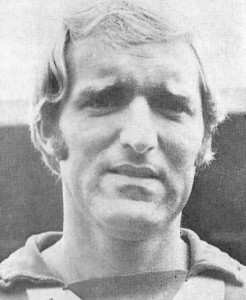 He was named in the 11 four times in 1964-65, four the following season in the Second Division and five in 1966-67, although he joined Oldham well before Ronnie Allen’s side were promoted and a few weeks before injury kept him out of the Latics’ clashes with his former club in the FA Cup third round. 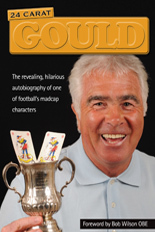 In a career of approaching 400 senior matches, he also played for Preston, Blackburn, Hull and Sheffield Wednesday and went on to coach at youth and first-team level at the latter. Management posts followed at Sunderland, where he achieved promotion to the top flight with Frank Clark as his assistant, Leyton Orient, Dagenham and Trowbridge. In international terms, he never made it past a get-together with England Youths but overseas tours left a lasting impression on him. 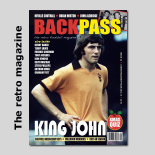 He had Graham Hawkins as a team-mate when he went in 1969 with an FA party managed and captained by Jimmy Armfield to Thailand, Tahiti, New Zealand and America, and was an untried Molineux teenager when Stan Cullis named him for the summer tour of the USA and Canada in 1963. “I think I only went because Alan Hinton dropped out at short notice to play for one of the England sides,” Knighton added. Suited and booted.....Wolves in Vancouver in 1963, a young Knighton squatting two in from the right on the front row. 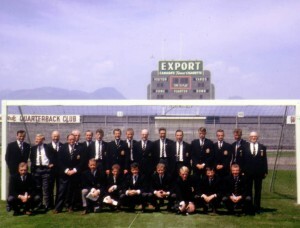 “The players had already been measured for their blazers and I think I was the one nearest to Alan’s size! Posted on: Sunday, December 13th, 2009.